Successful sales and marketing firm, Executive Touch Worldwide attended an exclusive annual black-tie awards event, where their CEO was recognized for his achievements within the industry. Executive Touch Worldwide’s very own CEO, James Sagar, was rewarded for his recent achievement of becoming regional director. The annual sales and marketing awards ceremony took place this weekend on Saturday 9th July. The exclusive black tie event is one of the most prestigious ceremonies in the sales and marketing industry’s calendar and takes place every year to celebrate the industry’s achievements as a whole. It also recognizes the outstanding, landmark accomplishments of high performing individuals. This year’s awards ceremony was held at the 583 Park Avenue events venue which boasts a grand ballroom which can hold up to 600 guests and is ideally situated in New York City, making it easy to reach for traveling guests. Executive Touch Worldwide highlight how the event is a valuable opportunity to understand how well everyone is performing in the industry, to raise motivation and inspire business owners to pursue their larger goals, as well as recognize the achievements of top performing businesses and business owners. The firm also states how this is an ideal opportunity for business leaders to connect with other like-minded business professionals in order to form strong business networks which can help lead to success. With a number of awards being handed out at the event, Executive Touch Worldwide’s very own CEO, James Sagar, was rewarded for his recent achievement of becoming regional director. This announcement was celebrated at the event and recognized as one of the top successes of the year. The event also had exclusive entertainment and several guest speakers who had travelled from across the globe to share their stories with the event’s attendees. 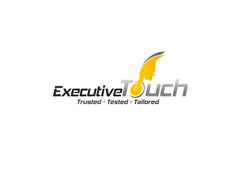 Executive Touch Worldwide believe that this is extremely motivational and inspiring for everyone within the business and point out that it is particularly eye opening for those newest to the sales and marketing industry as it shows them what they could potentially go on to achieve. Executive Touch Worldwide found this to be a hugely motivational event as they saw their CEO be celebrated as well as a number of close friends and fellow business professionals, many of whom James Sagar has mentored over the years, be rewarded for their fantastic achievements within the industry. The firm states how this has inspired their whole firm to work towards their goals in order to possibly be named as one of the top achievers at next year’s awards ceremony.